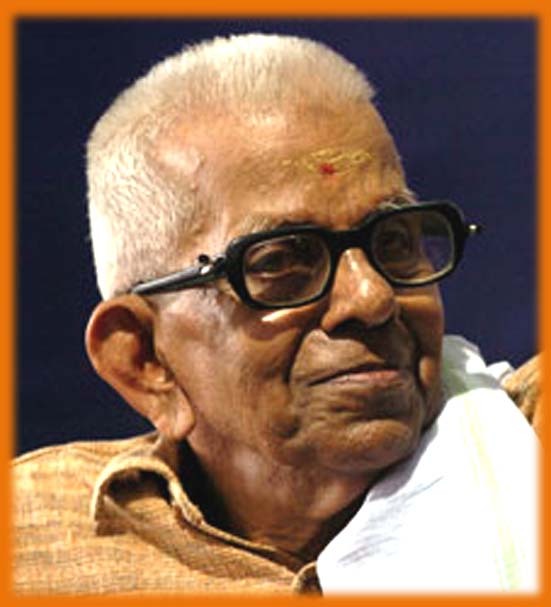 Veteran poet Akkitham Achuthan Namboodiri has been selected for the 36th Vayalar Rama Varma Sahitya Award. He bagged the award for his collection of poems ‘Anthimahakalam’(അന്തിമഹാകാലം). The Vayalar Award is given for the best literary work in Malayalam. The award was instituted in 1977 by the Vayalar Ramavarma Memorial Trust in memory of the poet and lyricist Vayalar Ramavarma. The award carries Rs 25,000, a silver plate and a plaque by the famous sculptor Kanayi Kunjiraman. The award would be presented to Akkitham on the death anniversary of Vayalar on October 27. Akkitham Achuthan Namboodiri popularly known as Akkittam, is a Malayalam language poet. He was born in 1926 at Kumaranallur in Palakkad district of the southern Indian state of Kerala and lives there.